• Micro centrifuge tubes are made from highest quality of virgin polypropylene. • Micro Centrifuge Tube are RNAse, DNAse & Pyrogen free for safer use in molecular biology and other biochemical applications. • These tubes can be used in very low temperature and with various organic solvents. • These tubes are with integral snap cap. In Micro Tubes with +cut Rubber Cap, we provide Clot Accelerator, EDTA K2, EDTA K3, Glucose Fluoride, Lithium Heparin and Clot Accelerator+Gel. So as to furnish the ever-growing desires of our patrons, we are engrossed in delivering a comprehensive variety of Plastic Micro Centrifuge Tubes. Sterile & Non Sterile Serum Vial 2 ml, 3 ml & 5ml Capacity Sterile & Non Sterile Disposable Tips: With International Standard With Colour Code. The Radical Secure Cap Micro Centrifuge tubes are made from high quality PP Material which assures high transparency and clear graduations. 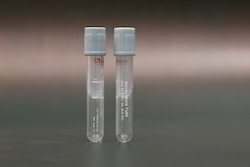 These tubes have consistent wall thickness with tight fit attached caps which ensures leak proof operation.These tube are available either sterilized or non-sterilized in order to satisfy the different research requirements. Moulded in polypropylene, these micro tubes are attached with plugs which snap fit to make it leakproof. They can withstand forces of an ultra centrifuge and can be used for transmitting samples for microanalysis. Can be steam autoclaved. - Micro Centrifuge Tubes are made of high quality Polypropylene and come with an integral snap fit cap for maximum single handed ease of use. - The Micro Centrifuge Tubes consists of frosted surface for easy writting, graduated and can withstand centrifugation upto 20000RCF. - Abdos micro centrifuge tubes are made from highest quality of virgin polypropylene. 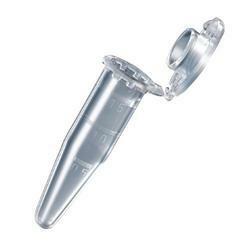 - Abdos Micro Centrifuge Tube are RNase, DNase & Pyrogen free for safer use in molecular biology and other biochemical applications. - These tubes can be used in very low temperature and with various organic solvents.